As humans, we all find safety and security in the areas of our life where we always expect things to be the same. Whether it is the old tree in our backyard, or the ice-cream truck that comes around the block at the same time every day, we find comfort in the things that don’t seem to change. However, change is actually happening around us all the time, even though we may not notice it. The backyard tree is growing older all the time, and will one day – a long time from now – wither away and die. This is a cruel but absolutely necessary aspect of life that we all must learn to accept. The death of the old tree will give life to thousands of new saplings, which will one day grow into strong, old trees themselves. For many of us however, such an acceptance to change is met with much resistance. We feel that we need to accept change, but somehow, our emotions and ‘natural inclinations’ seem to resist it. Are you unwilling to take the risk of changing certain aspects of your life, even though you know that you will be able to improve the situation you are in? Do you constantly find yourself ‘stuck’ at certain stages of your life, and are unable to move on and progress? Have you always wished to be able to accept and embrace the new opportunities that change can bring your life? 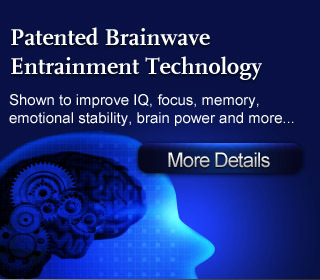 With the latest Brainwave entrainment technologies, we can now easily re-train our minds to reduce the associations of anxiety and fear to our thoughts of change. Finally, we can start thinking about change in an exciting and optimistic way, and be able to live a happier, more fulfilling life! No reviews on H17 Overcome Fear Of Change so far.